These tools are not for beginners – you need to have a firm grasp not only of how social media works, but also a vision of what you want to accomplish, before you start getting serious with analytics. These analytic platforms are designed to help large companies or marketing agencies figure out what’s going on on a minute-by-minute basis. One way to do this is to set up “search strings” – that is, arrays of keywords that these tools then go out and try to find across blogs, Facebook posts, Tweets, pins, etc. Sophisticated users then drill down to figure out what’s being said, who is saying it, and whether/how to respond. The Holy Grail for advanced social media users is to identify “influencers” – that is, people who care about the product/service you’re offering, and then figure out how to interact with them in such a way as to get them to talk nice about the things you’re offering. Some analytics providers will give you a test drive, to see if you can find value in what they do. Others require that you sign an up-front contract before they start aggregating information and trends for you to check out. What separates great analytics engines from average ones is the level of sentiment analysis they provide (automatically detecting whether people are positive or negative when they talk about a certain subject), as well as the reports and alerts they generate. As you might expect, this kind of functionality doesn’t come cheap – some of these tools can charge into the low five figures on a monthly basis. You’ll want to really dig deep into the ever-evolving features and functions of these analytics engines before you lock yourself into a contract. Also, you’ll note that a lot of these tools have kind of over-the-top names, that sound vaguely like the villain in a bad kung-fu movie (CrimsonHexagon, UberVU, Radian6, etc.). What can we say? Nerds like to make what they do sound cool and dangerous. The name sounds a bit like an over-the-top 70s kung fu movie, true. But this tool is serious. 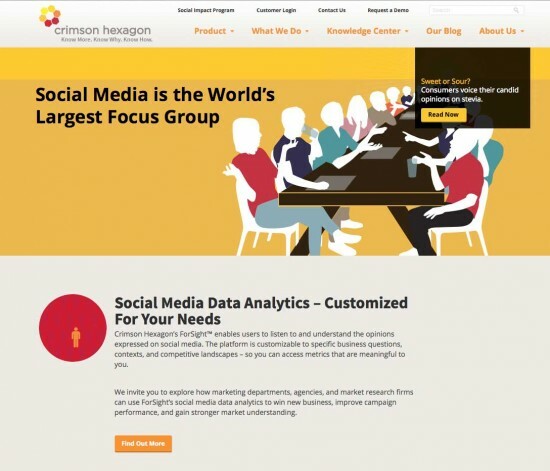 Their tagline is that social media is “the world’s largest focus group.” They specialize in using analytics to do real-world analysis of how people feel, which (in theory, at least) should lead to you making better business decisions. They’re also great at turning all that data into eye-catching visualizations that allow you to at least try to make sense out of the spray of numbers. These guys have been around for years, and keep adding features. They lag behind some of the other tools in market position and usage, but they have a good rep for providing good hand-holding support as you start using their packages. 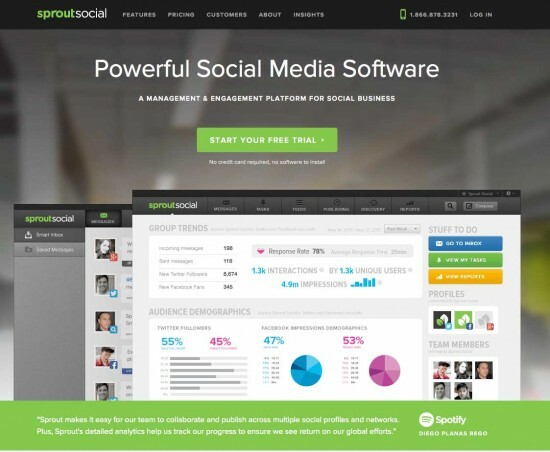 Also aimed at large-scale companies or agencies that manage social media for others, SproutSocial is a professional-level tool for managing all aspects of social media. This tool has evolved significantly over the years; it used to offer free levels of service, but that has apparently been deprecated. However, if you are an agency (i.e., you’re doing social media messaging for a bunch of clients, and are a prospect for buying multiple licenses), you can request a demo. RavenTools makes a big deal out of their ability to generate nice visualizations; not sure that what they do is all that much superior to any of the other tools when it comes to spitting out line charts and bar graphs, really. 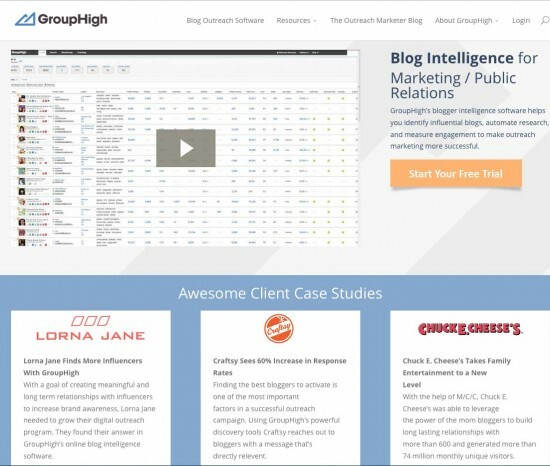 This company has recently pivoted from competing with Radian6 and the other big boys, to focusing in on connecting social to SEO and content marketing. Since Google and the other search engines are increasingly taking social media shares and likes into consideration in their rankings, this is perhaps a solid strategy. If nothing else, if you’re going to try to optimize your site for SERPs, RavenTools can come in handy. Unlike much of their competition, they offer a free trial before they require you to start horking out cash for an unproven tool. So they get extra points for that. Once the undisputed heavyweight champ, Radian6 has seen a lot of competition rush into its space in the past few years. 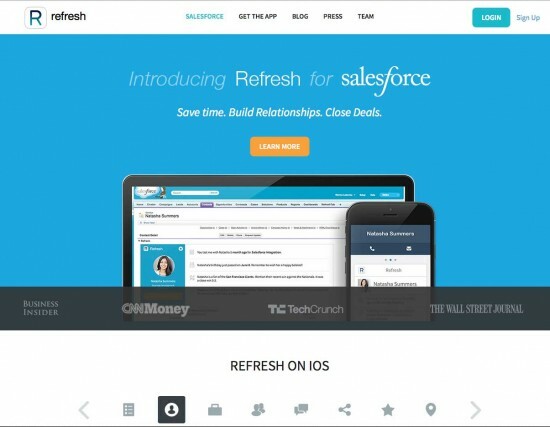 The are, however, integrated into Salesforce in a way that is of use to very large corporations. 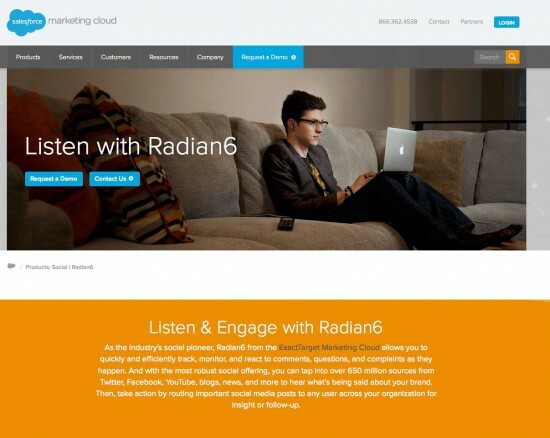 This was once the market leader by a long margin, but it has since been bought up and integrated into SalesForce, and folded into their “marketing cloud” product line. If you’ve got a big company with salespeople spread out all over the globe, this makes perfect sense. If not – well, then not so much. Still, they have extremely sophisticated ways of connecting what is said on social media with executing sales strategies. Designed to help you figure out who is truly influential (and who might be inflating their follower stats with paid sock puppets). 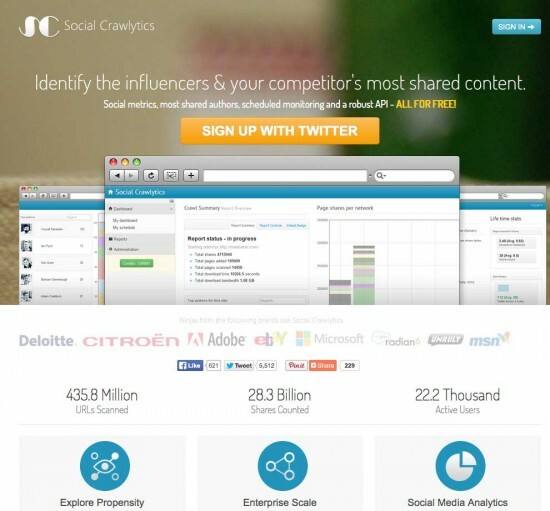 An intriguing newcomer to the social analytics scene, Social Crawlytics promises to identify influencers and also show you the things that your competitors are doing right to build their brands. Unlike a lot of their more-established competitors, SocialCrawlytics gives you a free test-drive before demanding that you reach into your pocket and pull out the credit card. You want lots of languages? Synthesio’s got languages. Also: an intriguing way to connect social to HR. And not just to report naughty pics on Instagram by your co-workers. These guys are working hard to try to help companies figure out how to integrate social media into their business processes. 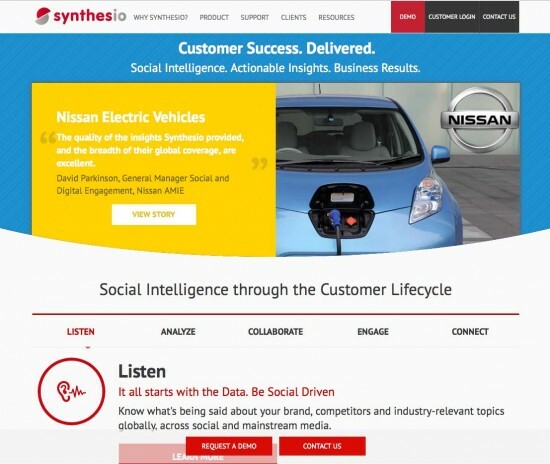 They promise to help build “stronger relationships with customers” by connecting social to sales to marketing to HR. Which is an ambitious task. They also offer a free demo. Bonus feature: they claim to be able to analyze and engage social media in more than 50 languages. So they win the coveted (and utterly hypothetical) Tower Of Babel-Tamer Award. Find bloggers that write about what you’re interested in. Figure out how much engagement they get. Approaching them with a pitch later is up to you. 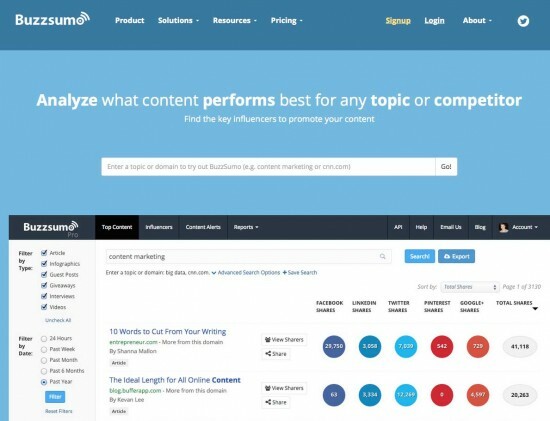 Focused on finding influential bloggers, this tool claims to be able to automate finding people who blog about what you’re trying to accomplish, and measuring the level of engagement they get. They also offer templates for you to reach out to bloggers to try to get them to write about you. Although, we must caution, that using a template can make you sound rather canned and pre-programmed — exactly the traits that can get you in trouble with a prickly blogger (and aren’t they all?). Beat the competition by knowing what they’re doing – perhaps even better than they do. It’d be nice – but it’s going to cost you, even if it does work. 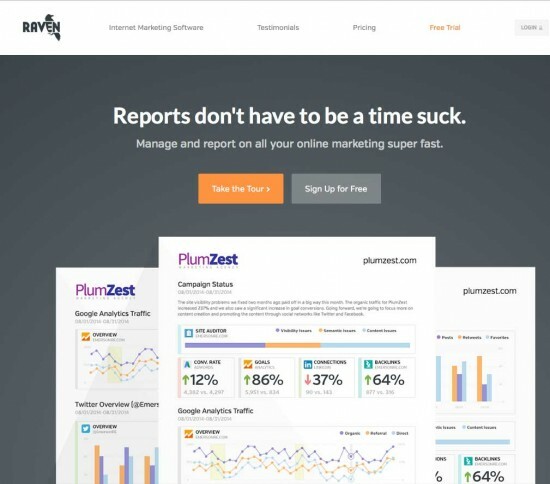 This analytics tool goes beyond simply measuring what you do – they claim to be able to tell you what “performs best for any topic or competitor.” This could be of great interest to anyone hoping to keep track of what’s going on in their niche – or to steal a page out of the successful market leader’s playbook. The pricing is a little steep, particularly if you are an individual or small business, but they at least give you a 14-day free trial. Awesome article Jamie. Once I build a list like this in Google docs with a lot of these same tools, yet when I go to find one like trend tracking, i may forget which file it is in. Always room to improve our cataloging and retrieval of important files and every year it gets more complicated. I am using Hootsuite and just signed up for Nimble. Thank you again for putting all these great resources in one place. I’m off to see if we are friends on Facebook, Twitter Google + and Linkedin. Thanks for this, Janine – it is really comprehensive and thorough! Looking forward to reading more. Great set of resources Janine; thanks! I would add Google’s URL shortener to you list goo.gl ~ it provides tracking and creates a QR code for each URL if you need one.